Deep brain stimulation (DBS) of the globus pallidus internus was recently proposed as a potential new treatment target for opioid addiction. DBS requires computer-assisted-3D planning to implant the stimulation electrode precisely. As volumes of brain regions may differ in addiction compared to healthy controls, our aim was to investigate possible volume differences in addicts compared to healthy controls. 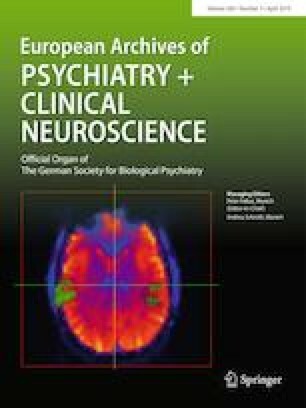 Volumes of the globus pallidus externus (PE) and internus (PI) in heroin addicts (n = 14) and healthy controls (n = 12) were assessed using morphometry of serial whole-brain sections. Total brain volume was larger in the heroin group (mean 1479 ± 62 cm3 vs. mean 1352 ± 103 cm3), as the heroin group was more than 10 years younger (p = 0.001). Despite larger mean whole brain volume, the mean relative volume of the PE and PI was smaller in addicted subjects compared to healthy controls (PE 0.658 ± 0.183 × 10−3 vs. 0.901 ± 0.284 × 10−3; ANOVA F(1, 24) = 6.945, p = 0.014, η2 = 0.224; PI 0.253 ± 0.095 × 10−3 vs. 0.345 ± 0.107 × 10−3; ANOVA F(1, 24) = 5.374, p = 0.029, η2 = 0.183). These findings were not significantly confounded by age, duration of autolysis, and fixation time. Our results provide further evidence for structural and not only functional deficits of the globus pallidus in addiction. In the context of previous studies, our findings support the idea of shared pathophysiological processes between comorbid depression and impulsivity in opioid addiction. Kurt Truebner and Johann Steiner contributed equally to this work. Renate Stauch, Sieglinde Funke and Gabriela Meyer-Lotz provided excellent technical assistance. All authors declare that they have no conflicts of interest. Sampling and preservation of the human brain material were done in accordance with the Declaration of Helsinki, German Law and approval by the local institutional review board.